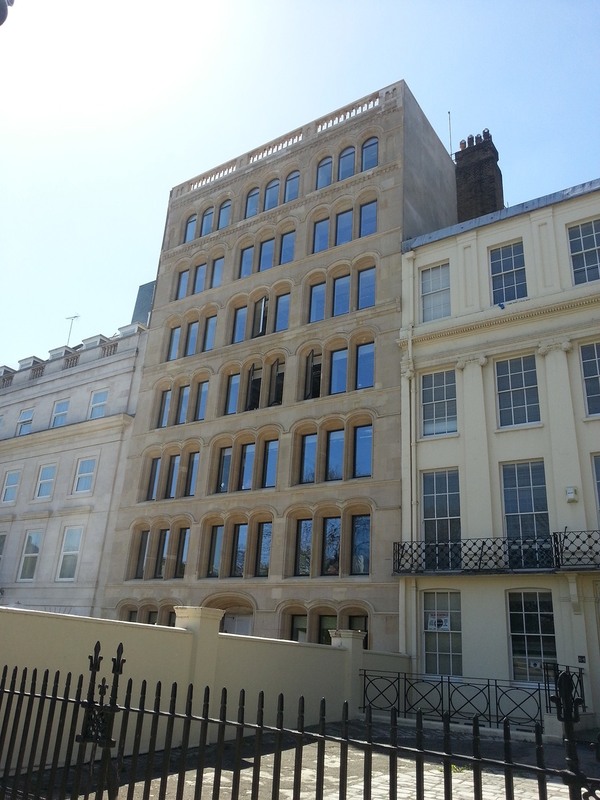 63 Lincoln Inn Fields in the heart of London is the new home of the Royal College of Radiologists. 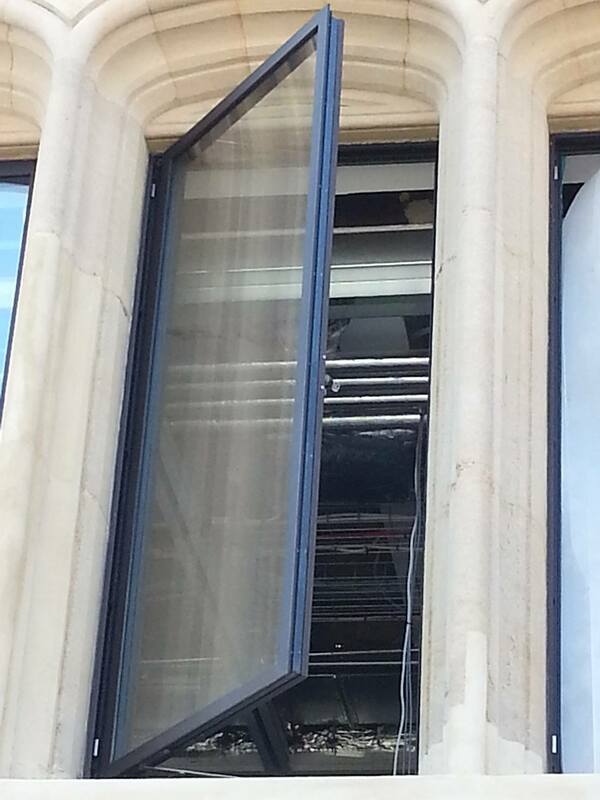 The listed building has been completely renovated retaining the existing front and rear façade fitted with new steel doors and windows. 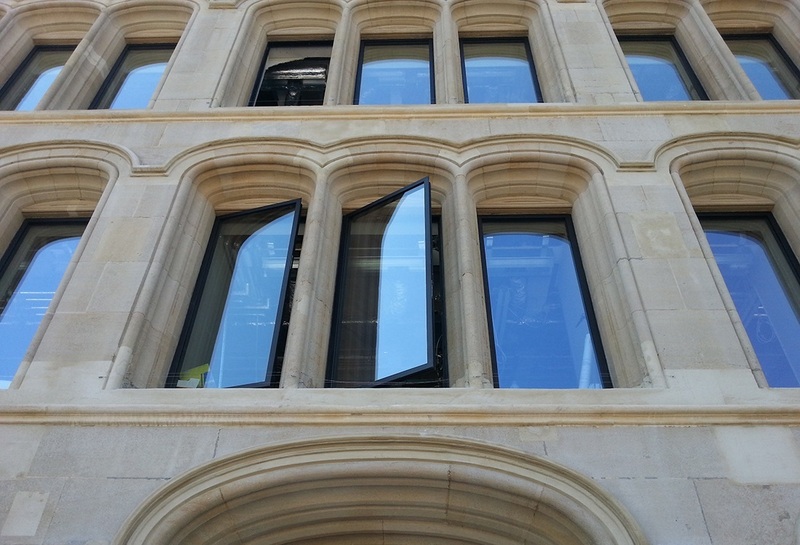 Installed on the front façade is a total of 66 windows. 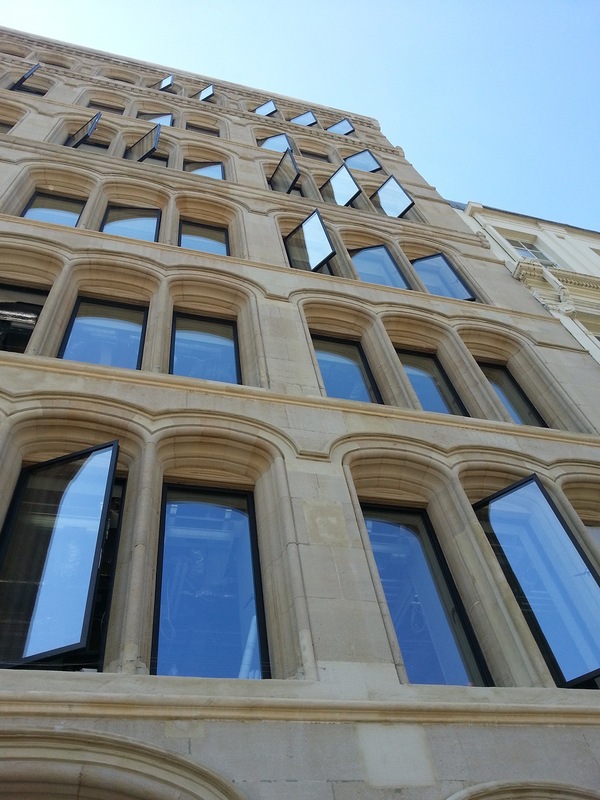 All of these windows were manufactured from the Schuco Jansen Arte profile allowing for very slim sight lines allowing maximum light into the building. The rear elevation (backing on to a courtyard and fire escape for adjoining buildings) was fitted with a selection of Schuco Jansen Janisol 2 30/30 fire rated doors and fixed lights, and Schuco Jansen Janisol non fire rated windows. All elements were fabricated and installed by energ.b. to customer requirements.